Turmeric has been known for thousands for years for its amazing health-promoting properties. 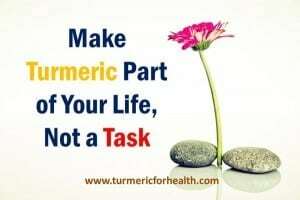 There are various ways one can use turmeric, using turmeric essential oil (obtained from turmeric root) is one of them. 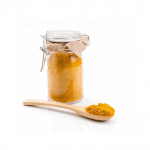 Extraction pulls out all oil-friendly compounds from turmeric root. 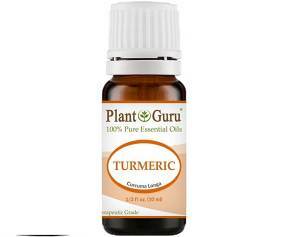 Turmeric essential oil then can be used in various ways to provide benefits against inflammation, muscle pains, etc. Turmeric oil is very powerful and packed with rare compounds as it is extracted from such a powerful healer herb. When analyzed turmeric oil may show the presence of 400-500 different kinds of molecules. What is even more amazing is that many of these molecules have receptor sites in our neuroendocrine systems too. The constitution varies based on turmeric used and also method. 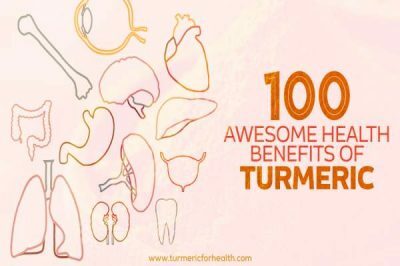 What is Organic Turmeric Essential Oil? How to use Turmeric Essential Oil for Skin Issues? Turmeric oil can be taken orally or applied externally. Here are some uses of turmeric essential oil. Anti-inflammatory: Some turmeric oils are 60-65% alpha-curcumene (a Sesquiterpene hydrocarbon). 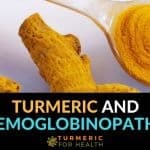 This is also the main constituent in turmeric root which gives turmeric its anti-inflammatory properties. Turmeric oil has been used with other essential oil such as Frankincense, Plai, etc. 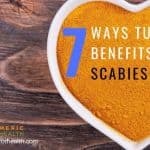 for preparing anti-inflammatory and pain relieving formulas. Arthritis and joint problems: Turmeric oil has been found useful for arthritis and joint care. It also helps in muscle pain. Industrial usage: Turmeric oil is used as a spice in the food industry. It is also used in the pharma industry where it is used in making anti-inflammatory, pain relieving, anti-microbial, anti-fungal, antiseptic (and more) drugs/ointments. Digestion related: Zingeriberene and 6-gingerol are main compounds present in turmeric oil which help in bringing the digestive system in order and also stops the formation of gas in the gastrointestinal tract. Benefits to the liver: Ar-turmerone, a compound present in turmeric oil is known to support the liver and keep it healthy. 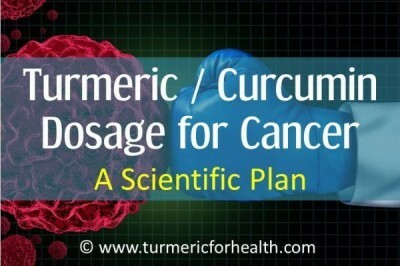 Anticancer: Turmeric and turmeric oil both are now known to have anti-cancer properties. Skin and hair: turmeric oil is also known to help in preventing hair loss, especially male pattern baldness. This action is also attributed to its anti-oxidation and anti-inflammatory properties. Turmeric oil is also used in many skin care formulas to make skin look younger. Other health-promoting properties of turmeric oil: As with turmeric, turmeric oil is also anti-allergic, antibacterial, antimicrobial, antifungal, antiparasitic, antiviral and antiworm. It is also considered to be good antivenom. As discussed, turmeric essential oil has multifold properties that can be exploited by us all, in exchange for health benefits. 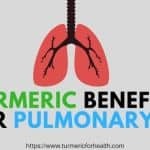 For those people that are looking at buying and experiencing these benefits of turmeric essential oil, the following shall aid them as a brief buying guide. In the earlier times, high-quality essential oils were only available in well-renowned health centers but, today it is easier to find these products online on websites like amazon, etc. There are two types of turmeric essential oils available today, them being the organic and inorganic versions of the oil. One could go ahead and purchase the inorganic version of the essential oil in case they do not have any allergies in general. For those that have very sensitive skin, it is advisable that they purchase the organic essential oil. Legitimate organic essential oil making companies possess a certificate that claims that the oil has been extracted organically. Once the oil has been purchased, one could look at buying suitable carrier oil for their essential oil. The purpose of usage could also help one select the right kind of carrier oil. Since, essential oils can be used for different purposes like facial skin treatment, body massage, aromatherapy etc., one could choose the most suitable kind of carrier oil with the help of this parameter. Essential oils in general, need to be diluted with the help of “carrier oils”. This does not affect the strength of the essential oil. The intention of doing so is to avoid the loss of precious essential oil ingredients due to over-application, which happens when essential oils are dealt with in their concentrated form. Carrier oils are a group of vegetable oils that have the capability to blend with the essential oil and assist in its application or usage. Such oils do not have a scent of their own. They are also present to ensure that the essential oils applied are comfortable to the skin. The following is a list of few compatible carrier oils. There are more carrier oils available, that are developed commercially too. However, one must note that butter, margarine, petroleum derivatives or vegetable shortening must not be used as carrier oils. Essential oil by definition is the oil extracted from a plant or other source through distillation and has the characteristic odor of the source. It is a concentrated version of the natural oils present in plants. Organic essential oil is the oil extracted from plants that have been grown without the use of harmful chemicals or pesticides. This type of farming is well-known as Organic Farming. If one is looking at buying a completely organic essential oil from the market, they must look for sellers that possess a certificate that states so. In order to keep up with the growing demand for essential oils, farmers have taken to feeding their plants with chemicals that boost their growth. Oils that are extracted and obtained from such farms are called inorganic essential oils. There has been no scientific proof that states that organic essential oils are better than their inorganic counterparts. This is also because of the minute amount of pesticide that one would possibly find in the inorganic oils. Organic oils are preferred, however, due to the reduced amount of harmful risks and side-effects that they pose in general when pitted against inorganic oils. Turmeric oil is known to have a good number of positive effects on the skin, to the extent that it is used to treat dermatologic diseases. 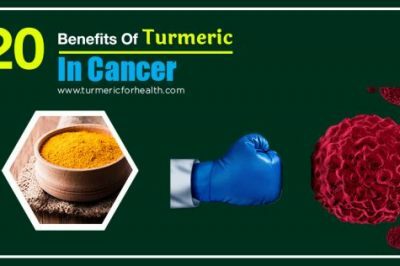 Skin diseases like acne, vitiligo and atopic dermatitis have found their prevention and cures in turmeric based products. However, one must remember to dilute the essential oil with carrier oils before application on bare skin. Turmeric oil is an antiseptic, has the ability to dry out pimples and prevent any further acne breakouts. Cracked heels on the feet can be treated by applying turmeric oil all over the cracked skin. It helps to heal the cracked skin and make the area smooth. Marks and blemishes on the skin can be gotten rid of by simply applying turmeric oil on the blemishes and spots. Turmeric often features in creams that serve the same purpose. 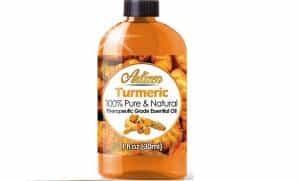 Dandruff and other scalp related issues like fungal infection and itchiness can be treated with the help of regular turmeric oil application over the problem areas. A good oil massage done regularly with turmeric oil is the solution. 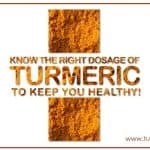 Turmeric contains Curcumin which is a natural inflammatory compound. This by default is present even in the turmeric essential oil, which upon application on the injured area can bring a lot of relief. Turmeric oil has anti-bacterial properties which can be of help in face masks. 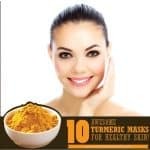 There is no known side effect of turmeric oil constituting face mask. When diluted and massaged on one’s face before sleeping, turmeric helps to bring about a healthy glow to one’s skin. Turmeric is rich in antioxidants and can hence help diminish wrinkles present on one’s skin. Hence, it also finds its use as an anti-aging agent. As with all essential oils, basic precautions should be taken with usage if turmeric oil too. This is a very highly concentrated form and thus excess can cause problems. It is VERY important to consult a specialist before taking turmeric essential oil orally. Do not take more than 5 drops of turmeric oil orally. It is best taken with water / tea/ honey. In case you plan to use turmeric oil on your skin, do a patch test first and see if there are any reactions. Turmeric oil makes your skin more sensitive to UV light, thus use in small concentrations (less than 1%) if you plan to go out in the sun within 48 hrs of application. Pregnant women should altogether avoid, or only use turmeric oil (or in fact any essential oil) after due consultation with their doctor. The product being discussed here is manufactured and sold by a company named Healing Solutions. The company offers a wide range of essential oils that are sold as a part of a package as well as individually. It was one of the first companies to offer essential oil products. Their goal is to provide higher quality essential oils to the consumer and also give them a wide range of options. There are over 170 different essential oils to choose from. The turmeric oil being discussed here is manufactured and sold by Plant Guru. They are passionate about essentials and the major factor in the formation of the company was the ridiculous pricing by the multinational companies for small products. They sell over 140 different essential oils. Some of the key features of this product are listed below. The company claims that their products are 100% pure and have natural therapeutic grade ingredients.. This product offering is available in 1 oz. and 4 oz. variants. It has multiple uses and can be used for aromatherapy, skin therapy and relaxation. Some of the key features of the product are listed below. 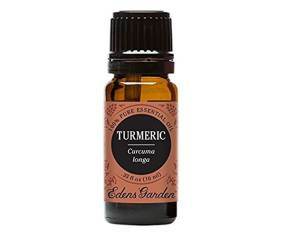 This turmeric essential oil is offered by Edens Garden. The company offers over 140 different essential oils. The product discussed here is their turmeric essential oil that comes in 5ml, 10ml, 30ml, and 4 oz. value pack. Some of the key features include – GC/MS certified, produced using cold pressed / steam distilled process. 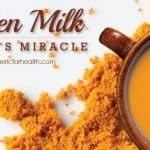 Is it better to take turmeric essential oil internally with some sort of fat (coconut milk) and black pepper vs just water? Or, is that only suggested to do so with the powder form? We have not come across any studies assessing the bioavailability of turmeric essential oil. Black pepper and/or fats are only recommended in case of turmeric powder. But yes you must dilute the essential oil before use, so coconut oil or milk is a good option. Please how do you make turmeric essential oil? Hi. We are unaware of the use of turmeric essential oil aromatherapy for knees. You can mix turmeric essential oil with a suitable carrier oil such as coconut or olive oil and apply it topically for relief. Apply it 1-2 times a day. Please conduct a patch test prior. 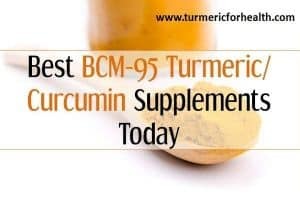 Could you please give a more detailed information about how exactly to use turmeric essential oil on skin cancer? My husband has a spot on the top of his forehead that looks like it could be basal cell carcinoma. Can he use an undiluted oil or dilute it with coconut oil? If so, what ratio? How many times a day? I would appreciate your help. About topical application of turmeric oil it is best to mix 1-2 drops of turmeric oil with a sufficient quantity of pure coconut oil (depending upon the area affected). 2-3 times a day is advised in case of regular topical application. However we would suggest consulting a health practitioner prior. I am confused. I read that the most effective dose to take for inflammation is 5000mg of Crude Turmeric Essential Oil. Where do I find that? How is that different from the organic Turmeric essential oil I find on Amazon? 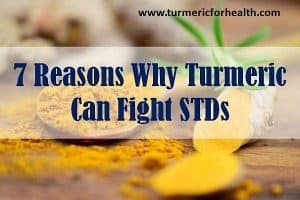 Also, I read that Turmeric is not easily absorbed into the body, thus supplements need to have black pepper or something similar to boost absorption. Is that the same for using the essential oil form? Will I need to take black pepper too? Any clarification you can give would be greatly appreciated. We have not heard of any company selling crude turmeric essential oil. Also we would advise you not to use it. Go for authentic turmeric essential oil that has been prepared under GMP settings. Many elements of turmeric oil are extracted after utilizing chemical procedures and they are generally a by product in turmeric/curcumin processing companies. 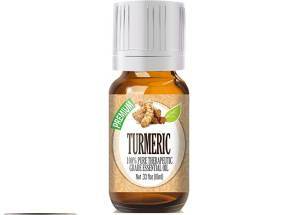 So please opt for a good quality turmeric essential oil which is free from contaminants and have received good reviews as well. 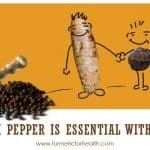 Turmeric oil does not contain curcumin, and black pepper is required only to enhance the bio-availability of curcumin. So there doesn’t seem to be a need of black pepper consumption with turmeric oil. However since turmeric oil is concentrated, please mix it in a beverage before consuming. I am making a paste of lemon juice & turmeric to treet poison ivy.This is day3, it is helping. Hi Dorothy. Thank you for your feedback! You can also consider making a paste of turmeric with coconut/olive oil for topical application. Hi. Yes turmeric oil does not contain curcumin or any curcuminoid. One of the main components of turmeric oil is ar-tumerone. Is there anyone interested to acquire turmeric oil and powder from Nepal ? It will great support to under-privileged and low income countryside people to uplift their life through farming and selling turmeric, ginger etc. Nepal needs reformation in agriculture because more than 80% people depend in agriculture, They work hard almost 365 days 18 hours a day but difficult to sustain their life from the agricultural income. So that someone need to have attention in order to uplift life of poor people… Thank you. Hi. There is no specific ratio as such. Depending on the area affected take sufficient amount of base oil (preferably coconut or olive oil) and add 2-3 drops of turmeric oil. Conduct a patch test prior. What is a sufficient amount? A cup, a teaspoon? You can see that it would be nice to get a better feel for what “sufficient amount” is. Hi is your tumeric oil certifite organic? Cold compressed? How to purchase? Can you provide certificate of analysis? union-nature.com in Canada. They sell all over the world in bulk or in small bottles from their own brand : Divine Essence. Therapeutic grade HE oils !!! 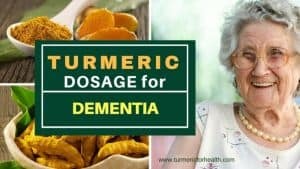 have you tried thuja homeopathic remedy works well for sarcoid… we had success..not sure about using turmeric essential oil in paste its very strong.. I have used Be Young, Young Living, and Mountain Rose Herbs. They do not add ‘filler’ into their product. I have used products from all three companies successfully. 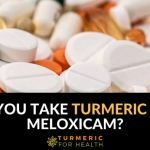 As far as using Turmeric internally MRH recommended not using Turmeric internally; Be Young recommended talking to your health advisor; Young Living had no recommendation. I had great success with my dog in her last year of life using Frankincense in a diffuser. It helped us in so many ways! Good Luck! For sarcoids, curcumin is required to combat the inflammation and enhance healing. 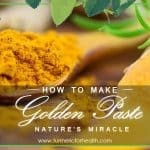 Therefore its best to give your horse the Golden Paste and apply turmeric paste (without black pepper) topically. where are you located – do you sell tumeric oil in small quantities. hi keshav this is mukesh madhur. u give very imp. informations. 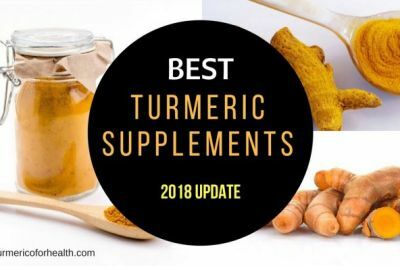 are u in the turmeric trade. if so plz contact me. But my question is about the elements contained in Cucurmin, as opposed to Whole Spice. Is there any of these that do not make it into the extract? or is the Extract a good concentrate of the entire set of components? 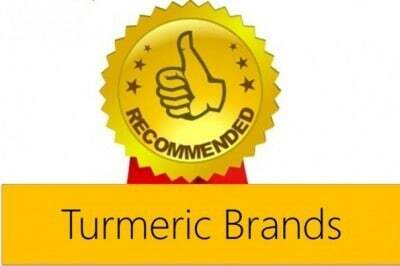 Mukesh Madhur I would be interested in knowing more about the Turmeric trade. Hi, sorry we do not have recommendations as far as oils are concerned. Can you please check your local medical store or maybe online portals for the same? Turmeric oil can treat cyst in ovary? I have Tumericc Oil to sell are you interested? how do you take the oil…in water or in your food? is this ok for dogs to take in water or food or on wounds?